The Indigenous 20 Something Project (I20SP) began as a conversation. Several 20 somethings from all over Native Country gathered on the Grande Ronde Reservation for the 2017 Wellness Warrior Camp by the Native Wellness Institute. A conversation began around two questions: What does healing mean for your generation? How can you bring that healing? The formal talk intended to last 2 hours spanned over seven hours. Each person shared their ancestral knowledge as hopes and prayers for Native people were said one by one. 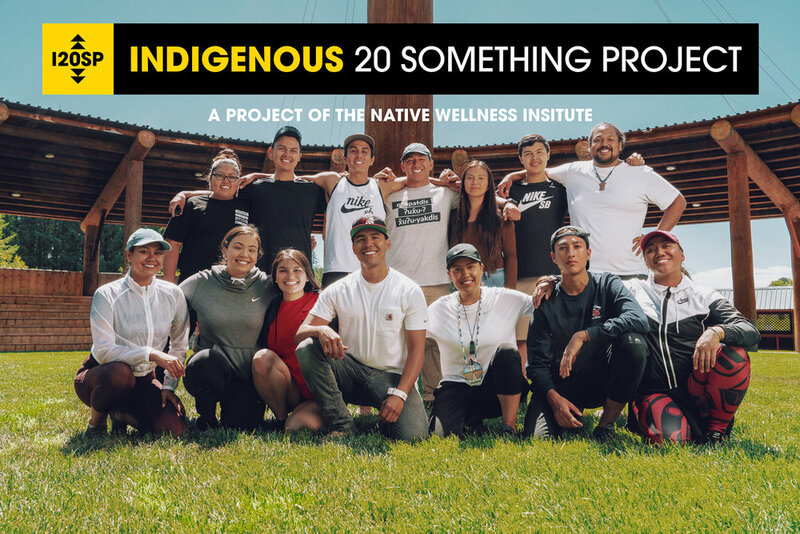 The Indigenous 20 Something Project (I20SP) is an inter-tribal movement focused on healing a generation by promoting, creating, and sustaining healthy lasting collaborations among Indigenous 20-somethings (people in their 20’s). Through collaboration and collectivity, I20SP brings healing to ourselves, our generation, and our communities. Healthy individuals create healthy relationships, and healthy relationships create healthy collaborations. Healthy collaboration—interacting with each other in a good way—reclaims our relativity which had been stolen through centuries of colonization: alcohol, the reservation system, boarding schools and the lasting impacts of intergenerational trauma. Indigenous 20-somethings have witnessed and experienced hurt people hurting themselves and others. This ongoing trauma stops with us! Some of our parents, grandparents and other adults continue to pass on behaviors and attitudes that do not bring out the best in others. At the same time, we have been paying attention to our older relatives who are making positive impacts in our Indigenous families and communities. We are the answer to our ancestors’ prayers. I20SP is stepping up to bring sweeping change to Indigenous 20-somethings everywhere. Through this movement, generations ahead will make good decisions, lead better lives, and be motivated to act and share healing ways. I20SP’s vision is for our younger brothers and sisters to live a life focused on historical wisdom. I20SP will help us collaborate to provide healing and wellness gatherings for Native 20-somethings in communities across Indian Country. Each gathering will be facilitated by a team of Native Wellness Institute 20-somethings and supported by our mentors, who are leaders in the wellness and healing movement. The two-day empowerment gatherings offer tools to lead healthy, intentional, mindful and connected lives. They cultivate experience, belonging, and memory, plus link genealogy in order to be ancestrally minded. Through I20SP, 20-somethings participate in inter-tribal and societal exchanges filled with expression, support, trust, and relationships. I20SP is an opportunity for Indigenous 20-something collaborators to honor our ancestors collectively by individually healing ourselves, our generation, and our respective communities. On behalf of Indigenous 20-something everywhere, we thank you for your support!